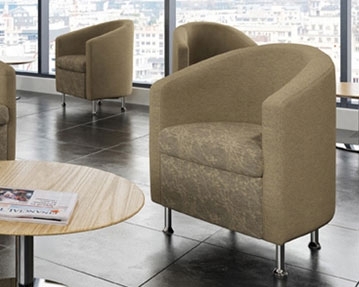 If you’re looking to give your reception area a contemporary look and feel, our fabric tub chairs could be the ideal choice. 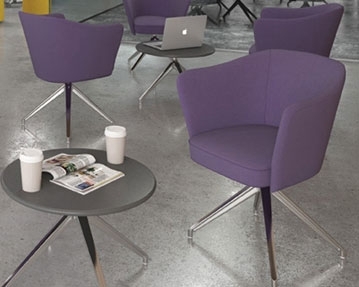 Characterised by a sleek, curved design, these high-quality seating solutions are guaranteed to give the entrance to your office a modern, sophisticated appearance. As stylish as they are comfortable, our tub chairs feature soft fabric upholstery and high, supportive armrests to ensure a pleasant seating experience. They also benefit from a contoured back design and generously proportioned, cushioned seats to promote healthy posture. As well as being attractive, the chairs have solid internal frames to ensure that they will last. 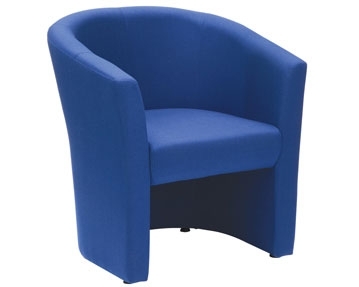 For added flexibility, our tub chairs can also be used in break-out rooms and other areas of the office. 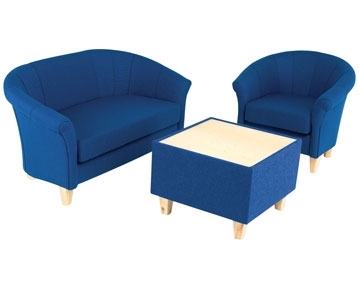 In addition, you can choose from a range of colours to suit your office interior, whether you want your reception furniture to be eye-catching and vibrant or you’re looking for something more traditional. We offer individual armchairs and two seater sofas. If you’re keen to find out more about our tub seating, don’t hesitate to get in touch. Our professional consultants are only a phone call away if you require advice or have any further questions concerning our impressive range.